How Does Oil Pulling Work? Effective, or Bogus Fad? Are you looking for a way to freshen up your breath, prevent tooth decay, and eliminate bacteria and microbes in your mouth – all without using any toxic chemicals or dangerous ingredients? Then it might be time to try oil pulling! How Do You Practice Oil Pulling? What Kind Of Oil Is Best For Oil Pulling? What Are The Ayurvedic Benefits Of Oil Pulling? While oil pulling has many purposes in Eastern medicine, in the US, it’s generally considered to be part of Complementary and Alternative Medicine – or CAM. 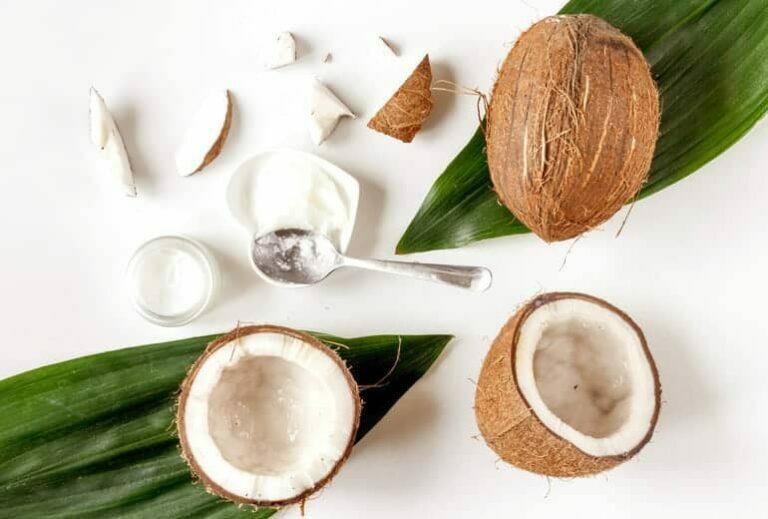 As an alternative medicine practice, oil pulling has become a popular holistic option when it comes to oral care, offering benefits like giving you fresher breath and eliminating toxins from your mouth. At its essence, oil pulling is simply swishing oil around in your mouth for an extended period of time. The oil is ‘pulled’ as you forcibly push it in between each of your teeth, around your gums, and under your tongue with your swishing action. The idea behind how oil pulling works is that the oil attracts and then pulls out bacteria, viruses, fungi, and toxins. When you spit out the oil, the bad stuff exits your mouth right along with it. The science behind oil pulling is fairly simple. You may remember from Biology 101 that bacteria and other microbes are single cell organisms, which have fatty membranes as skin. When these fatty membranes come into contact with oil, they stick to it. Oil pulling is a great addition to your oral health routine. The swishing you do during oil pulling draws the oil through your teeth and around your gums. In the process, the oil attracts these bacteria, toxins, and microbes that are hiding in the crevices of your gums and in the microscopic tubules that run through your teeth. Those fatty membranes in the skin of the microbes stick to the oil, and the microbes are then are expelled from your body when you spit the oil into the trash, leaving your mouth detoxified. Swish 1 to 2 tablespoons of oil in your mouth for 10 to 20 minutes. If you’re just starting out or your jaw aches, it’s okay to swish for five to 10 minutes instead. If you’re doing oil pulling correctly, after about five minutes, the oil will turn a milky white color – which means it’s working. There’s no need to check; just keep swishing until your timer goes off. After you’ve completed swishing, spit out the oil into a trashcan or paper towel to avoid clogging your pipes. Rinse your mouth thoroughly with saline or filtered water. Lastly, brush your teeth as normal. According to the tradition,4 oil pulling should be completed before breakfast on an empty stomach, which is when your mouth is most full of colonies of bacteria and toxins. It’s also suggested that you sit in an upright position with your chin raised. You should be very careful not to accidentally breathe in the oil, which can cause choking. 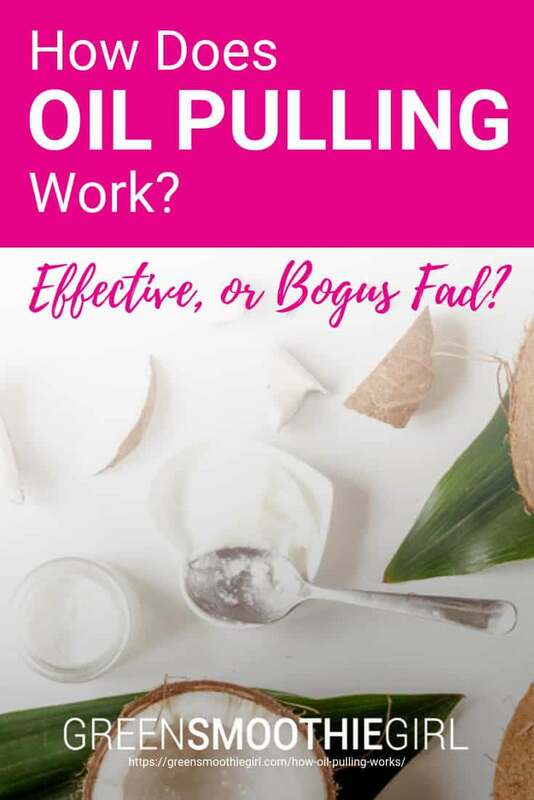 You can perform oil pulling as often as three times per day – but you should perform it at least three to five times per week to get the best benefits. Oil pulling is not recommended for children under the age of five, because they can breathe in the oil and choke on it. Children older than five years should use only 1 teaspoon of oil when practicing oil pulling. Never swallow the oil you’ve swished while you’re oil pulling. It will be full of toxins and bacteria – and the entire purpose of the practice is to remove those toxins from your body. While you can technically use any kind of oil that’s safe to put in your mouth, using an organic, cold-pressed oil like sunflower oil, coconut oil, or sesame oil is recommended for oil pulling.5 When oil is cold-pressed, there are no trans-fats – which can increase your risk of coronary artery disease, so you also may want to use cold-pressed oil for oil pulling. Sesame oil also includes polyunsaturated fatty acids, which reduce free radicals that can damage the mouth and “steal” lipids in the cell membranes, causing cell damage. By oil pulling with sesame oil, you can reduce the chances of getting gingivitis that is caused by plaque. Oil pulling with coconut oil can remove toxins from your mouth, improving your overall health. That means that oil pulling with coconut oil can keep your teeth and your mouth healthy in addition to removing toxins from your mouth. It also helps to modulate the immune system. If you practice oil pulling with organic extra virgin olive oil, you also may get the added benefit of eliminating bad breath. Throughout history, oil pulling was thought to help with everything from aches and pains to chronic diseases. However, the research surrounding oil pulling primarily looks at the practice as part of a holistic oral care routine. In that sense, when it comes to making your mouth healthier, the benefits of oil pulling are overwhelming. 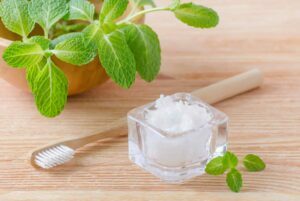 A control group that used sesame oil for oil pulling significantly reduced the amount of S. mutans in their plaque and saliva after two weeks.12 S. mutans is the bacteria responsible for tooth decay. Clearly, oil pulling can help with everything from tooth decay to bad breath – and with little to no risk. As mentioned, you should be very careful that you don’t inhale the oil you swish,, and you should never swallow the oil, which can be toxic. Otherwise, oil pulling is safe, healthy, and beneficial for oral care. Oil pulling was first mentioned in Indian Ayurvedic texts written more than 2000 years ago and has long been considered an Indian folk remedy for conditions and diseases that extend well beyond the mouth. While Western medicine hasn’t proven any of these benefits, there are benefits of oil pulling according to Ayurvedic medicine. In Ayurvedic medicine, each organ is connected to a different section of the tongue. For instance, the back central part of your tongue corresponds with your intestines, with corresponding areas for your kidneys on either side. The tongue is the beginning of your digestive tract, which continues for roughly an additional 30 feet. 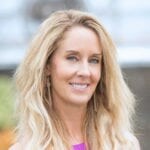 Because of this connection, Ayurvedic tradition teaches that the process of drawing toxins out of your mouth also detoxifies your whole body. This holistic health approach is very similar to other Eastern healing traditions like acupuncture. 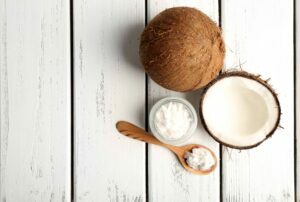 The idea that oil pulling can detoxify your body might sound like an outlandish claim, but there are millions of bacteria living in your mouth – and those bacteria have been associated with cardiovascular disease, diabetes, kidney disease, pneumonia, meningitis, arthritis and sinusitis, and more. Whether you practice Ayurvedic traditions and believe oil pulling can detoxify your body, or you simply want to use oil pulling as a way to holistically improve your oral health routine, removing harmful bacteria from your mouth through oil pulling is absolutely beneficial. Watch a demonstration of how to do oil pulling in this video, then start incorporating oil pulling into your oral care routine – and swish your way to a healthier smile. (10) Peedikayil, Faizal C. et al. “Effect of coconut oil in plaque related gingivitis–A preliminary report.” Nigerian Medical Journal. 03/2015. (11) Saravanan, Deepshika et al. “Effect of Oil Pulling with Sesame Oil on Plaque-induced Gingivitis: A Microbiological Study.” J Orofac Res. 03/2013. (12)S Asokan1, et al. “Effect of oil pulling on Streptococcus mutans count in plaque and saliva using Dentocult SM Strip mutans test: A randomized, controlled, triple-blind study” Journal of Indian Society of Pedodontics and Preventative Dentistry. 2008 Volume 1 Pages 12-17. One of my daughters has been oil pulling with coconut oil for the past several months. She recently went to the dentist after not going for over a year and a half. The hygienist told her she had absolutely no plaque on her teeth! Then the dentist came in and said the same thing and was wondering why as she had always had some plaque in the past. She never did tell the dentist she was oil pulling. So I called the dentist office and told them why she had no plaque. The person that answered the phone said she had never heard of oil pulling, but she would tell the dentist. She said they were all talking about my daughter’s lack of plaque after she had left! What a fantastic story, Patti!! This truly makes me so happy. I am also an avid oil puller, so hearing others finding great success in it is music to my ears. I will be sure to pass this along to Robyn. Great story and we appreciate you sharing it with our readers! Oil pulling works! Wondering; why not brush the teeth first, before pulling, to get rid of some of the bacteria? It just seems gross to me to pull before brushing. Would brushing first take away any benefit? It is important to brush afterwards to ensure that all of the toxins that are drawn out of the mouth are removed. So, you could brush before, but than you’d also have to brush after. I am wondering why you just can’t brush with coconut oil, instead of pulling it through. I know someone who does it this way. I have tried pulling it through and can’t last longer than a minute before I have to spit out. My electric toothbrush is very efficient and gets into all the crevices and then you could spit out whatever is left in your mouth. Brushing with oil is simply not as effective and I can’t imagine brushing our teeth for 15-20mins would be healthy for our gums and tooth enamel. I also love my electric toothbrush, but it is not as efficient as oil being pulled in and out of all the nooks and crannies of our teeth and gums. Just like flossing is important on top of brushing, oil pulling has it’s own purpose that a toothbrush simply cannot achieve. Don’t worry about only being able to pull for one minute, this is very common for beginners. My suggestion would be to start with less than a tablespoon and work your way up to the full amount. Same goes for the time. Each day try to add an extra minute until you reach 15-20 mins. Before you know it, you’ll be a master at it and you’ll have gained some great facial muscle along the way. 🙂 Another helpful tip is adding a tiny drop of food grade peppermint essential oil to help with the taste. Good luck! Thanks for a very interesting article, I’ll have to try this. One comment, though. Doesn’t the oil turn milky because it forms an emulsion with the water in saliva? That doesn’t have anything to do with bacteria, however well it may work at getting rid of them. Tapwater would do the same thing with oil. Hi Mark, That could be part of it, however if you do a spit test first thing in the morning, before you put anything into your mouth, you will see how cloudy white your saliva is. That’s bacteria! The spit test can be done by filling up a glass of water and spitting into the cup. Many folks with candida (yeast overgrowth), have it even worse, where they wake with a thick white film on their tongue! Why is it best to oil pull before eating or drinking? I’ve been practicing oil pulling for about a month now (it was included as part of a course I’m taking). Their instructions recommend "in the morning" but they don’t specify "before eating or drinking." To me, it makes more sense to oil pull after my breakfast. I then rinse my mouth with salt water and brush my teeth. My mouth is clean until my next meal. Hi TeriE, Great question! Our mouth is loaded with bacteria that has grown overnight, so we want to eradicate that before eating or drinking otherwise we’re swallowing this bacteria rather than removing it from our system. Does coconut oil lose it’s effectiveness if briefly heated in the microwave to turn the oil into liquid form before pulling? If you are going to heat it, we’d prefer you do that over the stovetop as microwaves have so many negative effects. But to answer your question, no, not necessarily as coconut oil has a high heat tolerance. Yes, it is best to continue swooshing for the full 15-20 mins, however don’t be discouraged. Many beginners run into this hurdle as we’re not used to using our facial muscles so much! Simply work your way up to the full 15-20mins. Challenge yourself by adding 1min each day until you hit the mark. Good luck! Hi, very interesting article, thank you for sharing it. I would like to know if there is any scientific evidence that oil pulling is effective in improving gum disease (like germ counts at baseline and after 2 months of treatment) and if it has been shown that some oils are better than others for this effect. I have not found any evidence but maybe you know more than me. Thank you! Hi Giovanna, there are resources at the bottom of this blog that may help you. Check them out! !